Custom software development is the designing of software applications for specific user or within an organization. Custom software development services allow business to transform their daily operation into a specific business goals. Unlike off-the-shelf software applications, custom software has the remarkable ability to run exactly the way a client requirement and offers a number of benefits over licensing off-the-shelf software. Custom software development is to utilize the latest up to date technology in custom business softwares. With custom application development, software is maintained for as long as required it to be. Different software programs get benefits of operating on one custom software application designed to integrate multiple processes. Custom application development provides long-term benefits of investing in developing custom business applications, which are more valuable than purchasing a ready-made product. With custom business application development, we can get an efficient and reliable technical support plan. For the development of applications, software, Internet marketing and web development, a good option would be a Customized Software Development Company. They have teams of professionals and highly qualified computers that focus on specific projects to get higher success rates and efficiency. With the help of a reliable development team a client can market their software and application easily. A custom software development company would ensure all projects are successful both in development and marketing. 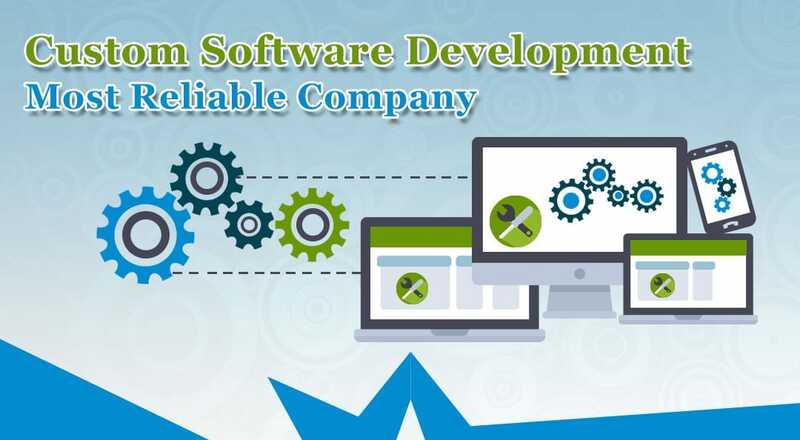 Software companies whose primary business depends on the quality of their software and information, Viftech solutions is a software development and Corporate Training company in Pakistan, that is a leading Information Technology (IT) solution provider. Over the last 6 years, it has been retained as Custom Software Development and Quality Assurance company by many leading products and services vendors. We offer a wide array of services that have rewarded our clients with proven results. We provide software development and quality assurance services that solve key challenges and issues in product quality and rapid time to Market. At Viftech solutions, we go beyond just delivering. Delivery on time and meeting deadlines are our main goals, but today’s business requires custom software development services way just beyond these. The outsourcing options which are providing at Viftech solutions reduce costs and add efficiency to the business. Our goal is to achieve the highest level of client satisfaction by providing them Customized solutions and services and achieve business objectives with our custom software development solutions. Below are the services and solutions that are provided by our custom software development experts to their clients. Applications and software which are developed by a Customized Software Company benefit not only who want to develop these products, but also to those businessmen who are always on the road from this by having software and applications specifically designed for their individual needs. In all matters, these applications and software will be easier to use and even improve or upgrade in future.